Congratulations go again to Pete Nixon who was the fastest Seacroft Wheeler. Well done Pete! Pete was closely followed by runner up Ian Brown, and 3rd fastest was Madeline Moore. The winner of the Seacroft handicap was Ian Brown. Well done Ian great work!Congratulations also go to Madeline Moore who was not only the fastest Seacroft lady but the fastest lady in the full CycleSense league – well done Madeline great racing! Below are the final results for the CycleSense Evening League for 2017. The individual weekly results are on the CycleSense Website. Congratulations to Pete Nixon who was the fastest Seacroft Wheeler closely followed by runner up Matt Hallam and 3rd Seacroft Wheeler Ian Brown. The winner of the Seacroft handicap was Scott Kelly and fastest Seacroft lady was Elaine Kelly. Great racing well done! Below are the final results for the CycleSense Evening League for 2016. The individual weekly results are on the CycleSense Website. Congratulations to Pete Nixon who was the fastest Seacroft Wheeler closely followed by runner up Matt Hallam and 3rd Seacroft Wheeler Chris Johnson. The winner of the Seacroft handicap was Ian Brown and fastest Seacroft lady was Evgenia Illyinskaya. Great racing well done! 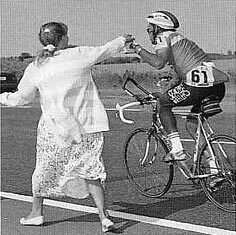 This race did not go ahead due to excessive water on road making it too dangerous for riders to race. We had a fantastic turn out with 38 riders. This race did not go ahead due to adverse weather conditions making it too dangerous for riders to race. Congratulations to Pete Nixon who was the fastest Seacroft Wheeler closely followed by runner up Matt Hallam and 3rd Seacroft Wheeler Chris Johnson. The winner of the Seacroft handicap was Chris Johnson and fastest Seacroft lady was Elaine Kelly. Great racing well done! Course V162/11 Thorner Circuit. Lap split times in brackets. * indicates Seacroft Wheelers first claim riders. Jonathan Noble Memorial Hilly 11, 30th August 2012. Seacroft Wheelers first claim riders in bold. Thursday Evening Club Events, 3 up 10, 23rd August 2012. Thursday Evening Club Events, 2 up 10, 16th August 2012. Jonathan Noble Memorial Hilly 11, 1st September 2011. Course V162/11 Thorner Circuit. Seacroft members in bold, including 2nd claim. Lap split times in brackets. Thursday Evening Club Events, 3 up 10, 25th August 2011. Course V910A Fairburn. Seacroft 1st & 2nd claim members in bold. Thursday Evening Club Events, 2 up 10, 18th August 2011. Thursday Evening Club Events, Hilly 11, 28th April 2011. Times in brackets are lap split times. This was an excellent turn out for the challenging Thorner circuit, with several riders making their time trialling debut; Matt Lunn was a convincing winner in his first race of the year. Special thanks to all the many members and friends who turned out to assist with the successful promotion, especially Mandys Barnes and Parker for their help with the timing, which was more difficult than normal due to the number of riders. ‘Jonathan Noble Memorial’ Hilly 11, 2nd September 2010. Times in brackets are lap times. Three up 10, 26th August 2010. Finishing order is based on the time of the third rider, where that rider finished alone. Two up 10, 19th August 2010. Hilly 11, Thurs 29th April 2010. Conditions cool, rain, light south westerly. Jonathan Noble Memorial Hilly 11, 3rd September 2009. 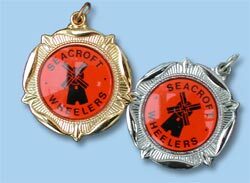 First Claim Seacroft Wheelers riders eligible for club awards in bold. Three-up 10, 27th August 2009. Two-up 10, 20th August 2009. Nigel Baldwin (Yorkshire RC) finished solo in a remarkable 23.34 after his partner Dave Meakin (Crosstrax) retired. Richard Purchon (Seacroft Whs) rode solo in 31.05. Hilly 11, Thorner circuit, 30th April 2009. Jonathan Noble Memorial Hilly 11, 28th August 2008. 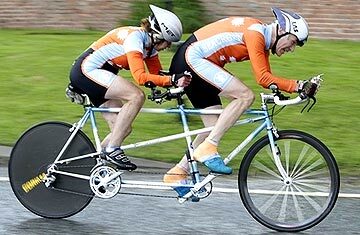 Riders in bold are Seacroft Wheelers first claim members, eligible for awards. ** By one rider one prize rule. Three-up 10, 21st August 2008. Two-up 10, 14th August 2008. Hilly 11, 24th April 2008. Seacroft Wheelers Road Races, 30th March 2008. YCF Combined Clubs Hillclimb, 4th November 2007. ‘Jonathan Noble Memorial’ Hilly 11, 30th August 2007. A good entry on a warm but windy evening on the ever more technical Thorner circuit with Bob Jackson RT’s Nick Griffiths a clear event winner and Kevin Warr collecting the much prized ‘Jonathan Noble Memorial Trophy’. Excellent rides by three new members Giles Dumont, Roy Cannon and Richard Barker on a course where familiarity is a definate bonus, with Giles taking the handicap prize. Also racing the course for the first time Nick Barnes picks up the Juvenile award, whilst Richard Purchon ended his ‘season horribilis’ on a high with the Vet’s award. Lap times shown in brackets. Three-up 10, 23rd August 2007. Two-up 10, 16 August 2007. Course V318. CycleSense Tadcaster League 2007 Results. A full weekly result is posted on the CycleSense website. Please support the league sponsor. Hilly 11, 26th April 2007.
respectable second lap of 14.31. YCF Combined Clubs Hillclimb, 5th November 2006. A decent entry of 6 Wheelers scaled the unrelenting East Chevin in the YCF combined clubs hillclimb which marks the end of the local road season. A comfortable looking Nick Barnes took the hill in his stride on his way to the handicap prize whilst dad Steve did himself no favours riding on cyclo-cross tyres. Phil and Simon rode in full ‘winter’ mode while Garry Marsh had to stop for gear repairs half way up (well that’s his story!). Jonathan Noble Hilly 11, 31st August 2006. 13 riders braved wet, cold and misty conditions on the testing, muddy and gravel strewn Thorner circuit for the traditional close to the evening events season. Tom Jackson came in fastest of the ‘Seacroft’ riders to claim the Jonathan Noble memorial trophy with Phil Deane taking the Handicap award. The event was won by Alistair Kay (York Cycleworks) in 26.25, an impressive ride on a difficult night and not far off the course record held by our own Steve Barnes. 2nd Claim: Nigel Bennet 30.50, Richard Sewell 31.49, Callum Sewell 32.52, Ewan Sewell 34.15.